How did biology and business help another species of crayfish circumnavigate the globe? Find out in our “One Species at a Time” podcast with the Encyclopedia of Life. This marble crayfish is a mutant! And all those little crayfish under her tail are mutants, too! The Atlantic article says marbled crayfish reproduce via parthenogenesis. What is parthenogenesis? Parthenogenesis is a method of asexual reproduction in which the organism develops a female gamete without fertilization: a “virgin birth”. Parthenogenesis occurs naturally in a wide variety of animals, including some species of bees, worms, spiders, snails, reptiles (such as Komodo dragons), salamanders, sharks (such as hammerheads), and birds (such as domesticated turkeys). What is unusual about parthenogenesis in marbled crayfish, nicknamed marmorkrebs? They are freaks of nature. The entire species is the result of a single crayfish’s mutation (the ability to reproduce by parthenogenesis) in a hobbyist’s aquarium. The species simply did not exist until about 25 years ago, and there are no known natural populations of marmorkrebs in the wild. How does parthenogenesis work in marbled crayfish? Once upon a time, two slough crayfish (native to the southeastern U.S.) mated and produced the crayfish with the original mutation. This female mutant crayfish was able to induce her own eggs to start dividing into embryos—her eggs did not need to be fertilized. These mutant eggs made the crayfish unable to successfully mate with slough crayfish: the mutant was a new species. The new species was big and hardy, and flourished in home aquariums all over Europe. Today, all marbled crayfish are clones—genetic duplicates of the original mutant. 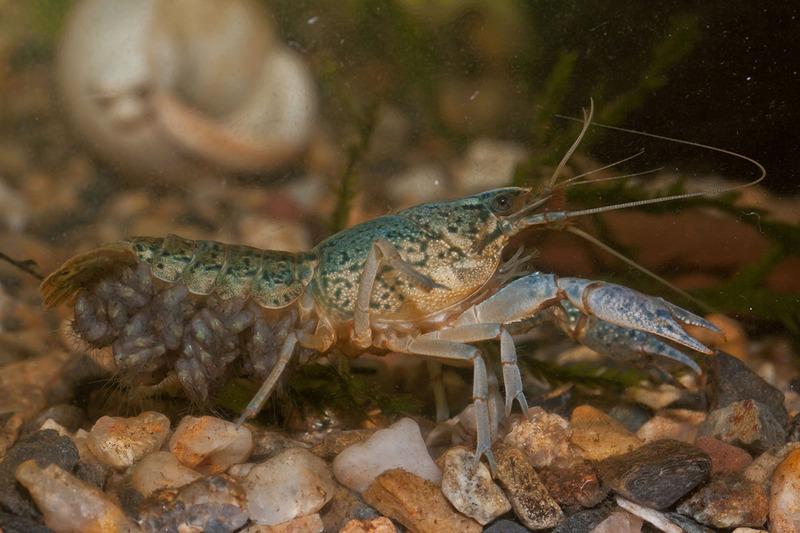 What impacts are marbled crayfish having on their ecosystems? Read through the questions here for some help. They’re an invasive species. Many owners of the original aquarium crayfish released the animals into nearby lakes. There, the crustaceans took over the ponds and walked hundreds of yards to colonize new wetlands. “We’re being invaded by an army of clones,” says one expert. Marbled crayfish reproduce very quickly, and at very high rates (hundreds of eggs at a time). And remember, they’re all female. They can outcompete native species for food and resources. Marbled crayfish also threaten agriculture and the natural ecosystem. Their burrows weaken earthen dikes and levees, and can rob soil of nutrients. Their voracious appetites can reduce crop yields for wetland crops such as rice. Epigenetics is the study of changes in gene function that do not involve changes in DNA—in other words, how “genes are turned on and off without changing the underlying genetic code.” Why is the marbled crayfish of interest to epigeneticists? Epigeneticists are fascinated by clones like the marbled crayfish, where all specimens are virtually genetically identical—but still display variation in size and coloration. Certain genes are being turned off or on in some cases and not others, and epigeneticists can study how this happens. Epigenetic studies of clones like the marbled crayfish could help in cancer research, as some cancers have a specific genetic component. Some leukemias are influenced by the mixed-lineage leukemia (MLL) gene, for instance. Epigenetic manipulation of the gene (being able to “turn it off”) may help reduce instances of this cancer.